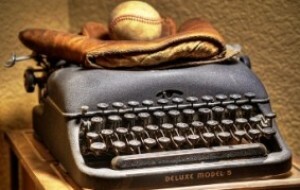 Home » Off Topic » What Was Fred Wilpon's Endgame? What Was Fred Wilpon’s Endgame? You may have been wondering why it’s taken me so long to respond to the quotes by Fred Wilpon in the recent New Yorker and SI articles. There were a few reasons. First and foremost, when the New Yorker article came out I was still in Italy, with limited internet access and, frankly, too busy enjoying the food, wine, landscape, and people in that country to tear myself away. Hmm … enjoy fresh pasta, Tuscan bistecca, and cellar-aged Chianti on a terrace overlooking sun-drenched hillside vineyards, or race around looking for a wi-fi hotspot to read about Fred Wilpon’s public self-destruction? Pass the olive oil, please? Secondly, by the time I returned to the USA and read both the New Yorker story and the dozens of reactions to it, it was quickly becoming old news. And, I was jet-lagged. Beating a dead horse while feeling groggy and exhausted is rather futile and not conducive to quality writing. But now, taking a fresh look at both articles, there’s one thing that puzzles me: what was Fred Wilpon’s endgame? Meaning, what exactly was Fred Wilpon attempting to accomplish through these two stories? It’s crystal-clear that the two articles — published almost simultaneously — were the result of an orchestrated publicity project. Feature stories in The New Yorker and Sports Illustrated don’t “just happen” — especially not when the main subject is a multimillionaire owner of a New York-based Major League sports franchise that is already in the public spotlight, and is in dire need of a cash infusion. Part of the reason for pitching these stories to The New Yorker and SI had to be to create positive spin; to portray Fred Wilpon as an honorable individual who made a few regretful mistakes in trusting some people a bit too much. And the SI story reads exactly that way — to the point where the most cynical might wonder if Tom Verducci was asked (or paid) to make Fred Wilpon appear as an innocent victim of the Madoff Ponzi scheme — a gullible dreamer and ignorant investor who honestly believed that the 12-14% annual returns achieved by Madoff’s money machine was completely realistic and on the up-and-up, even when everyone else was losing their shirts due to the downturn of the economy. yet found it completely OK to encourage (recruit?) no less than 483 other people to invest in Madoff’s fund. Advising someone to put their money into a hedge fund is not like recommending a restaurant — there are major risks and implications that are more serious than an upset stomach. If you measure yourself as having limited knowledge of the stock market, then how is it responsible or honorable of you to convince almost 500 people to invest their money in anything, or with anyone? It’s one thing to say, “oh you need a money guy? talk to mine” and quite another to recruit hundreds of people to an investment fund. But I digress … where was I? Oh yeah, the goal of these articles. The SI one was pretty easy, and successful. But what the heck was Fred trying to gain by those quotes in The New Yorker? By now you must have heard about them or read them yourself. We’ll review them again anyway, for context. What exactly was Fred Wilpon trying to accomplish with all this trash talking? Was he trying to fire up his team, by channeling his inner George Steinbrenner? Was he attempting to cozy up to a portion of the fan base, who feel the same way and might suddenly love Fred because he “speaks the truth”? If so, it’s too bad that the words were negated the minute Fred called the players to apologize. If he meant what he said, he should have stood behind the quotes, rather than cower and distance himself from them. Yet, he didn’t say he was misquoted, which makes it all the stranger. Imagine if your boss mentioned in your annual review that you were, say, ineffective at task management — and then called you the next day to apologize? Kind of weak and cowardly, no? Additionally, if you’re going to apologize, do it from the same pulpit that you criticized — go to a tabloid journalist and apologize via a back page story, so that the same millions of people who read the disparaging words can read the apology as well. Again, taking a real-life example: imagine your boss tearing you a new one at a meeting in front of the entire company — then pulling you aside afterward, away from everyone else, and apologizing. Kind of empty and ineffectual, no? So I’m really not sure what was the endgame with the New Yorker piece. One person I spoke to suggested the possibility that Fred could have been speaking under the influence of one too many martinis — and perhaps was too embarrassed to say so. I’m not sure that it matters; even though alcohol can sometimes cause people to say regrettable things, they’re usually still saying what they truly feel. They may not want to say it, but the “truth serum” pushes it out. The long-term ramifications of the New Yorker story are yet unknown. The players have responded properly, saying all the right things. But behind the scenes, they can’t be happy. Further, I’m curious to know what opposing players think of the situation — and whether they’d be inclined to play for an owner who publicly flogged three of his most valuable ballplayers. The team is struggling to stay out of first place, they’re bleeding money, and the owner hates on his players — not an ideal recipe for attracting free agents. Not to mention that Reyes and Beltran will be free agents shortly — and Wilpon’s words won’t do anything to help the negotiation process if either considers re-signing. Over the short-term, I wonder if the negative reaction to the New Yorker piece accelerated the announcement of David Einhorn’s acceptance as a minority owner? Conspiracy theory you say — PR damage control I say. The best way to make people forget about big bad news is to deliver big good news. I think a thousand-plus words is enough from me. What about you? What are your thoughts on what might have been the motivation behind Fred Wilpon’s quotes? Post in the comments. Next Buster Posey: What Should Change? I don’t think there was an “endgame” behind the cutting remarks. I think they were just a mistake by an old man who inadvertently let down his guard — perhaps under the influence of alcohol as you suggest or perhaps simply buckling to the pressures of the huge lawsuit, the impending sale, declining attendance, and a team with a lousy record and in last place at the time. At his age, it could also be a matter of senility or other age-related behavioral decline. As for why Wilpon would recommend Madoff to friends and family, I don’t think there’s anything odd about that. Madoff wasn’t just some Joe Schmoe who opened his own investment firm. He was a highly regarded name on Wall Street who also happened to run NASDAQ at one time. You would have been hard pressed to find anyone with a better rep on Wall Street. Also, I could be wrong, but I don’t think Madoff’s investments were “hedge funds” as you said. Yeah Joe, they weren’t “hedge funds” — it was a PONZI SCHEME!!! HA! I sort of mis-spoke re: the people Wilpon recommended to Madoff. Madoff’s main investment was a hedge fund called “Ascot Partners”. I don’t know whether that meant that everyone who invested with Madoff necessarily invested in the fund. As for what is “odd”, we can agree to disagree. I find it VERY odd that someone who claims to know nothing about the stock market would recommend an investment manager to almost 500 people. To a dozen people? Maybe. But 500? That’s a large number of people to be recruiting, especially if you “don’t know sh*t from shinola”. Either he’s lying, incredibly irresponsible, or incredibly stupid. Maybe I’m cynical, but I doubt highly that someone who is irresponsible and/or stupid can build a billion-dollar fortune in real estate. Joe, that’s incorrect. Ascot Partners was NOT part of Madoff’s company. It was part of a completely separate company run by someone named Jacob Merkin, and it was instead a feeder fund into Madoff’s operations. As such, there is no way Wilpon could have recommended people invest in the Ascot Partners fund via Madoff. Ascot Partners was just one of many feeder funds (run by separate companies) that invested with Madoff. As for whether Madoff himself characterized his own company’s investments as “hedge funds” I don’t believe that is the case. Regardless, I still don’t understand what is odd about recommending a highly successful, highly reputable (at the time) investment manager to your friends and family. His own family’s personal wealth was invested with Madoff. We’re talking nieces, nephews, aunts etc. etc. Do you really think if he knew it was a ponzi he would put his family’s personal savings with Madoff? He was duped. Plain and simple. Whether he was stupid or not is irrelevant. He was duped. Dano, I never once said that Ascot Partners was Madoff’s “company”. I said it was his main investment. Maybe it wasn’t his “main investment”. I picked out Ascot specifically because it was identified in an article on Forbes.com that was corroborated on MarketWatch.com, Reuters, The New York Times, and Bloomberg. So I guess all of those publications “duped” me. All of those publications have also identified Ascot Partners as a “hedge fund”, BTW. And you know what? If I’m wrong I don’t really care, the point is moot to the argument, which is that Fred Wilpon recruited almost 500 people for Bernie Madoff. If you want to be picky about correcting the details knock yourself out. Why does it matter whether I think Wilpon would have put his family’s money into something he thought was a ponzi scheme? If he did know, what would stop him from allowing his friends and family in on something that was returning 10-12% every year, if he didn’t think the scheme would ever get found out? It’s the same exact reason Madoff created the fraud in the first place — because he believed he could get away with it. And if Wilpon had no idea that it was a ponzi scheme specifically, shame on him for believing that whatever Madoff was doing was completely kosher. You’re telling me that a 74-year-old man hasn’t learned the old idiom “if it’s too good to be true, it probably is”? As for Madoff being “reputable”, that is up for debate — both in the courts and in the media. There has been plenty of info published in the last three years that showed that Madoff was NOT necessarily trusted, and furthermore, that having Fred Wilpon’s blessing was a deciding factor in convincing people to invest with Madoff. In fact that is a huge point being argued in Irving Picard’s case! So we will not debate it here, because it is redundant. In fact, there isn’t any point in debating with you at all, because you obviously have a very strong opinion on the subject, as do I, neither is going to convince the other of wavering, so again — we’ll agree to disagree. Joe you misunderstood me. I wasn’t saying Ascot wasn’t a company of Madoff’s, I was saying it wasn’t even an investment fund of Madoff’s. It wasn’t. It was NOT Madoff’s main investment. Ascott was an investment fund of an entirely different company that was totally unrelated to Madoff. The significance of Ascott was that the fund’s founder invested Ascott’s funds with Madoff (as feeder funds) — just as Wilpon invested Sterling’s funds with Madoff. Ascott’s investors didn’t even know the fund’s owners were investing with Madoff and are now suing the fund’s founders. And I’m harping on this because in your original piece your implied Wilpon was especially reckless for recommending “hedge funds” to his family and friends. Then you gave Ascott as an example. But Ascott was not a Madoff investment. And Madoff’s investments were not known as hedge funds. And, yes, we will have to agree to disagree. We are so far apart it’s not funny. I especially take exception to your opinion that Wilpon would knowingly put his family and friends’ money at risk by suggesting they invest with a man he knew was running a fraud or had suspicions it was a fraud. That is so ridiculous, IMO. Joe, consider this: You have a nagging pain in your back that won’t go away, and one day you follow the advice of a friend and go to a certain chiropractor. The guy sees you, cracks this and that, and you feel better than you have in 10 years. Don’t you think the next 20 or so of your friends that mentions to you that some part of their body hurts is going to hear the story of your liberation from your back pain, along with the phone number of the guy who fixed it? Yet, you’re not a medical doctor, or a chiropractor, or an expert in problems with the spinal column. But you make the recommendation anyway, despite the fact that you could theoretically be messing with your friends very LIVES if this guy turns out to be a quack. You’d probably also ignore the fact that chiropractic in general is controversial in some circles. I think people recommend investments to friends all the time, whether they’re qualified to do so or not. And they don’t do it for kickbacks or commissions or to garner the favor of the funds or money managers they are recommending, they do it because they think they’ve hit upon a wonderful secret that has helped them immensely, and so they want to share that with people they like, or even with people they barely know just to show how cool they are. It’s human nature, Joe. I think everybody does it. And, by the way, not everybody who receives a recommendation like this acts on it, so to some extent it’s all just noise anyway. Ah, but often THEY DO ! We may never know the whole story. I’m not sure we even want to know the whole story. But there is plenty we can speculate from all sides. Good stuff Joe.i’ve made my low opinion of the Wilpons known on these pages many times, so there is no need for me to say it again.There is one thing in the New Yorker piece that i find very disturbing and very few people have touched on.According to Toobin, Madoff calls Wilpon once a week to talk about god knows what.I find that more repulsive than 5 TIER TICKET PRICING! !The owner of my team talks weekly to the biggest crook in the history of the world and than has the chutzpah and the balls to turn around and be critical of Reyes for looking for a big contract.Sickening. I don’t recall anywhere in Toobin’s article that said Madoff and Wilpon spoke weekly, and furthermore, in the SI article by Verducci, it states that Wilpon hasn’t spoken to Madoff since the sh*t hit the proverbial fan. Heh. Fred “Stringer” Wilpon. I like it. I think — drunk or sober — he was trying to ingratiate himself to the reporter, to appear like a straight-shooter to him, so as to get the result he got — an exculpatory piece in a major publication. Extremely stupid in not being able to visualize that the negative comments about players would be the major takeaway for most people (who after all are much more interested in baseball than in poor Fred’s legal woes). But with $1,000,000,000 on the line, maybe he figured it was worth it. I’ve also read, since the NYer article release, that its author, Jeffrey Toobin, is *extremely* good: exactly the sort of charming, seemingly-sympathetic person who makes people open up. I dunno guys. Steve Phillips is on SiriusXM now and he keeps saying never once did he suspect things with Madoff were shady. Not once as GM of the Mets did he suspect Fred to be the kind of man who would intentionally be involved in a Ponzi Scheme. Steve Phillips brought us to the WS, so we have to believe him, right? As for Fred’s endgame? Well it wouldn’t shock me if the truth was that Fred had a few too many and let his guard down. It also wouldn’t shock me if he had some other motive. Considering there is no logical sense to it, I’m inclined to believe he just slipped up. More importantly I think it hurts the Mets bargaining position slightly, but since most teams believe they will sell I am not sure it matters. If he intends to resign Jose (judging by the projected stated budget of 100-140 million for 2012) then he might have hurt his position there too. Personally I don’t think it will matter much, if the team wants him and he wants to stay those comments will not hurt. We all just wonder if both sides truly are interested (and for some awful reason I doubt the Mets are). I don’t think his comments about any of the players were wrong though. Wright was a super star until he changed his approach, Beltran is still a great player but he wasn’t healthy for 2 years. And Reyes is not getting Crawford money, as much as he deserves it. Yeah I trust Steve Phillips, he’s an OUTSTANDING judge of character. Men who cheat on their wives and mess around with 20-year-olds tend to be really good at identifying phonies. Takes one to know one, right? LOL! Mike, just curious, but didn’t Wright change his approach because a certain owner built a park with dimensions to take away his ability to hit home runs in the gaps without having to overswing and destroy a career that had superstar written all over it?Please stop making excuses for Fred Wilpon.He has singlehandedly just about ruined this franchise.Being stupid is not a defense in a court of law.I am tired of the Wilpons lame pathetic act,The worst thing about his remarks as Joe J. points out was the apology. If that is how Fred really feels, than why apologize.Be a man for one time in your life and stick to your guns.Just one more incident of dumb “good guy” Fred being coached into saying things for spin purposes and having it blow up in his face. I hear Wilpon was in on the JFK assassination too. You can’t be serious here. Are you? What possible purpose would it have served for Wilpon to do this? I love your columns and appreciate your wilingness to take a plain-spoken position, even when I disagree with you. But, the one thing that you may want to reconsider is your suggestion that Verducci may have been bribed to write a puff piece. Unless you know something, that’s seems to me to be over the line. Ken, thanks for the kind words. I didn’t accuse Verducci of anything — I merely suggested what some of the most cynical people might suspect. I don’t think it’s over the line to express a conclusion that conspiracy theorists might come to, so long as it’s not me making an accusation. Though I guess it could be interpreted as passive-aggressive, eh? That said I appreciate the head’s up. Is it possible that the New Yorker quotes were things that Einhorn wanted said, but didn’t want the responsibility of saying them? The outgoing CEO usually has to do the dirty work so that the new guy can come in with a clean slate, but the painful pruning is already done at his behest. I’m not saying that’s what happened; but if you are looking for a plausible story explaining this mysterious breach of past practice, now you have one. No way that they orchestrated that in Mid April, not a chance. Definitely poorly timed and poorly executed PR. No point in talking on the record about the players at this stage, he’d never done it before, so why start now. As Dano points out, he was not a Hedge Fund operator for this scheme. He was running a personal advisory service. If it was a hedge fund banks would have had unfettered access to his accounts as they are traditionally held at institutions. Not the case with Madoff. Also in regards to should he have known about great returns while the economy was crashing, that is a suspect opinion there. The economy certainly had ups and downs over the years, but the true tanking of the economy only happened shortly before Madoff was unveiled. Madoff’s scheme began to unravel post the Sept/Oct 2008 banking collapse. No reason to assume that Fred saw a massive return from Bernie in the of 2008 or during 2009. Frankly if he was reporting positive results that is likely what finally did him in during that time. I also don’t think he recommended 483 friends, I think Sterling had 480 something accounts with Madoff. I think it was a couple of dozen friends he recommended to Madoff. I think the New Yorker article in particular was Wilpon’s way of explaining his justification for the upcoming demolition of the team. He figures maybe he can “lead the argument” by telling everyone that Carlos Beltran is only 70% of what he was and Wright isn’t a superstar and Reyes isn’t worth that much money” and maybe everyone (sports radio especially) debates whether or not he’s telling the truth. Plus he’s got a scrappy team that had just hit .500 with numerous key pieces missing… if this team looks like it’s not a complete mess, then he just looks like a miserly old man when he demo’s it. So if he can do something to take the team down a peg, then he looks like he’s just a good businessman when he orders lousy trades of quality players for marginal prospects.